Visa Powertech is so much more than Solar Power and Power Control Systems. We even provide Home Automation solutions. We are the company that do project designs, supervision, commissioning, testing and maintain complete automation system with our highly experienced engineers. The result is unparalleled performance and reliability and the ultimate user experience for you and your family. Once the day’s done, set the perfect scene for a family dinner or to snuggle up for a movie, as the screen drops, the lights dim and you settle in for a perfect evening. Set the perfect temperature, always. If it’s cold outside, your home will adjust perfectly to keep you warm, or if it’s too hot set the climate to cool. Intuitive, sophisticated climate control for every season. Today’s smart home has a plethora of connected devices, such as laptops, smartphones, Smart light, Smart TVs, electronic door locks, and thermostats, require a solid, reliable networking infrastructure to function at their full potential and we setup network for that. Crestron Electronics has carved the path for technological innovation since 1971. They create Automation Solutions that transform the way people live their lives, making their day-to-day tasks easier, and improving efficiency and productivity. 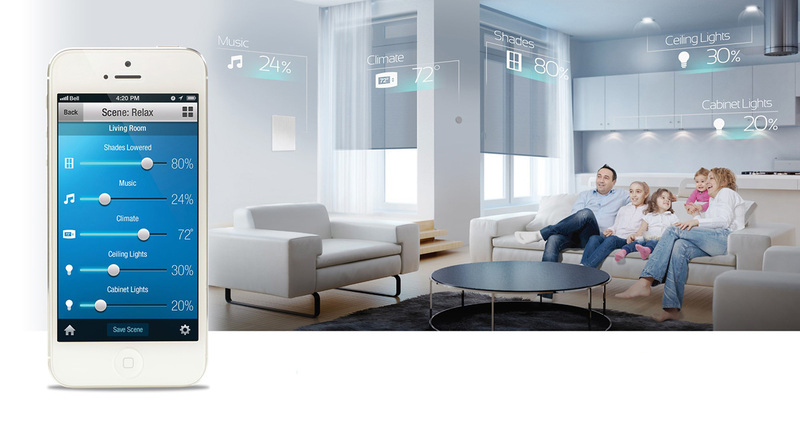 Crestron electronics manufacture hardware and software to provide smart home automation system. KNX is the only global standard for home and building Automation. KNX enables all the components to communicate via one common language. The components produced by different manufacturers can be combined.